The Anthropology Department at the University of Texas at Austin is hosting its 12th annual New Directions in Anthropology Conference. New Directions aims to provide an inclusive space for graduate students of all levels and upper level undergraduates. 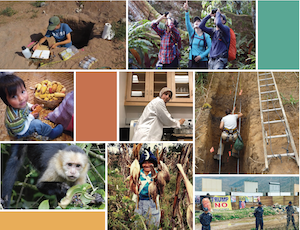 We welcome papers from all anthropological subdisciplines and various disciplines outside of anthropology to share their work while enabling opportunities for feedback and collaboration. We invite participants to join us in exploring and discussing the myriad of applications of anthropological research within and outside of academia.